"In Your Comfort We Find Our Perfection"
Comfort has a new definition at Suhim Portico with 30 rooms, blending contemporary with culture, the rooms have been designed to give you an advantage of indulgent hospitality service with personal choice and comfort in mind. 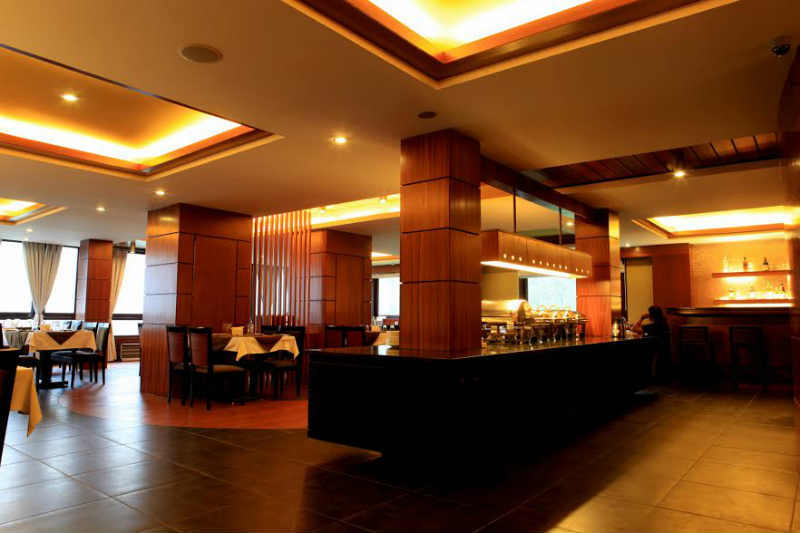 Overlooking the Himalayan foothills and the city of Gangtok we invite you to experience gastronomical delight in our cozy dining room “AROMA” with an area of 2045sq.ft where our chefs will prepare for you the best of Organic Sikkimese Cusine, Indian, Tandoor, Continental and Oriental. We have a well stock bar with a collection of wines to pair with the food to enjoy after a day of busy sightseeing or work. 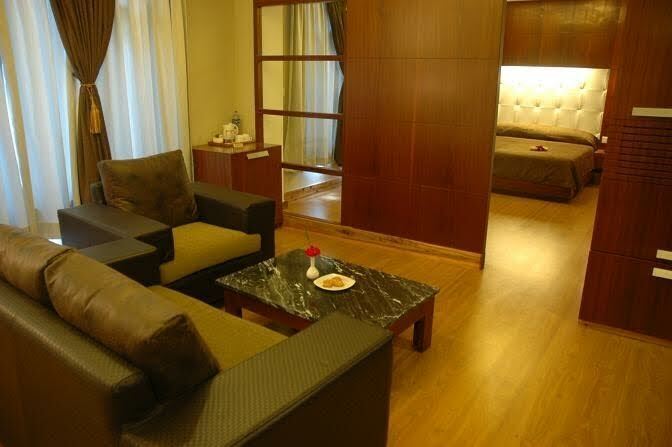 We also offer vegetarian and Jain cuisine for our guests on prior request. 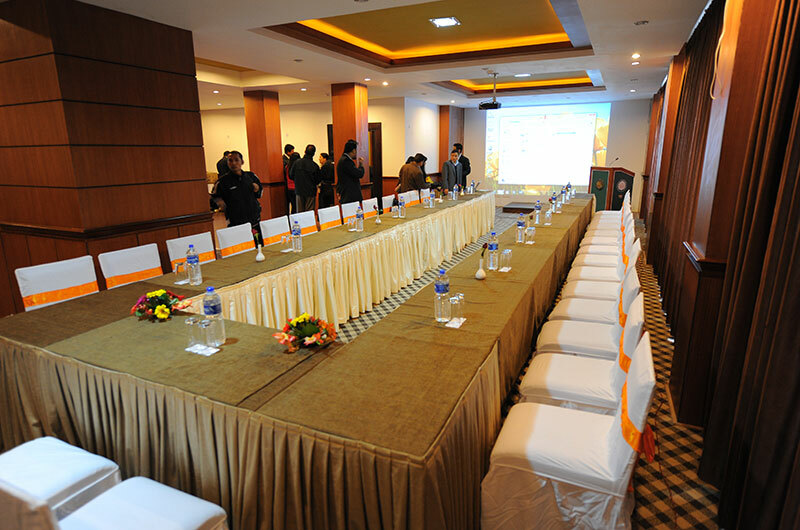 Equipped with facilities like projector, wi-fi, satellite TV, public address system, state of the art telecommunication facilities the conference room measuring an area of 1913 sq.ft can accommodate 80 pax in theatre set, 40 pax in a classroom and u-shaped setting but we believe in tailoring our facilities to suit your particular requirements. Organic Farming is the new mantra in Sikkim and is being promoted in a big way. Much of the produce are available in local markets. On January 18, 2016 the Prime Minister, Shri Narendra Modi declared Sikkim as the first "Organic State" in India. Sikkim was the first Indian state to frame an eco-tourism policy with the help of Japanese and American experts. Picking up national accolades in 2012 and 2016 for being India's "Cleanest State" with the most innovative tourism project, Sikkim has set new benchmarks for responsible travel in the country. Checkbox sightseeing has rapidly made way for sustainable community-based tourism in less developed areas, while eco-friendly policies have lent new vigour to the virginal Himalayan wilderness that drapes the region's mountains. Sikkim with the natural beauty and cultural riches was recommended the top 10 regions to visit in the year 2014 by the "Lonely Planet" the largest travel guide in the world. With a new airport scheduled to open near Gangtok, you can now save-off several hours of transit time and fly in directly from major Indian metros. The nearest airport is Bagdogra 124Km (approx. 4hrs) via NH10 and the nearest railway station is New Jalpaiguri 122Km (approx. 4hrs) via NH10.